Radish is an amazing boutique chock full of lamps, jewelry, art, and clothing that you are not going to find any where else in P-town. The vibe reminds me of the best up and coming galleries in Brooklyn, NY. Fun, fresh, with a clear sense of individual style. 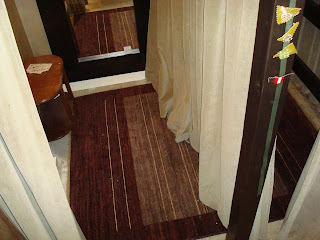 They even have a Kush, Terra rug gracing their dressing room floor. Nice! 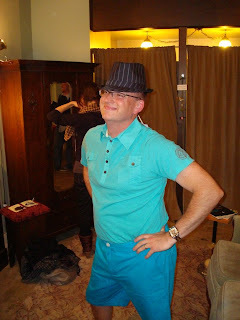 Paul Thomson walks the Radish catwalk. Grrr! 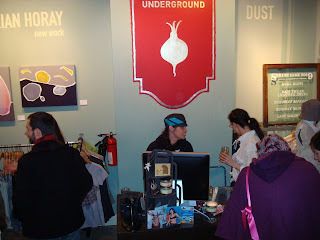 Radish is located at: 414 SW 10th ave. in downtown Portland, a great area for local owned shops.